Alright. My boxes are unpacked. The wifi is up. Let's get back to blogging. The Rivergods' new release, State of the Union, feels more a commentary on the band itself than any outward political statement. This isn't a bad thing -- after all, history is made of everyday life. The Rivergods amble between themes: reviving an old marriage, lost love, religious hypocrisy. You know, life. To it all, the New London-based band brings a punk ethos tempered by lilting vocals and calming violins. 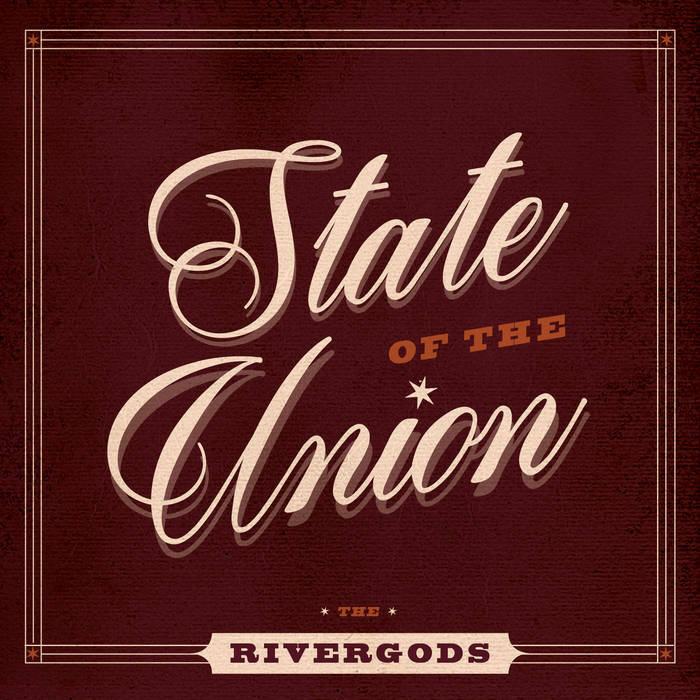 The most fun part of listening to State of the Union is the Rivergods' themselves. This is a band that's played together for a long time. They know what they're doing and the confidence brims over on each song. But they're not cocky, nor are they too comfortable. Like in "Jubilee," they just know each other's tricks and are having a grand old time doing a good thing. State of the Union feels well-worn, but in all of the right places.